Explore the night sky and get ready for bedtime with a songbook full of puzzles and things to find. 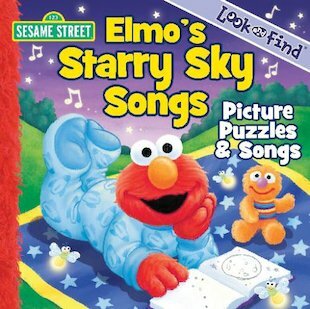 Share in the joys of twilight with Elmo and his Sesame Street friends! Look hard at the beautiful starlit pictures to find all sorts of favourite objects. A treat for little sleepyheads before they snooze, combining lively picture puzzles with favourite bedtime songs.